Right up there with online banking and Amazon, the arrival of Uber to Mexico easily qualifies it for my list of game-changers that make now the time to move to Mexico, whether part or full-time. To insure your safety, a higher power has been notified of your trip. Uber is safe in Mexico for the same reason it is safe in the U.S. My Mexican friends have their teenage daughters use Uber before they’ll let them take a cab. In Mexico City, they are considered much more safe than cabs. Using the car-sharing service in Mexico is not exactly the same though. When taking Uber as a foreigner, you need to be aware of certain things. In Mexico, you can opt to pay in cash instead of using a credit card. Opt to do so if you can. The drivers prefer cash. Drivers cannot see how you have elected to pay until they arrive. If you have elected to pay with a credit card, they might drive away right in front of you. In that case the app automatically sets you up with another driver. However, if you have an appointment or if it’s uncomfortable weather, it can be annoying. Unlike U.S. cars, which will have the Uber sticker on their windshield, Uber drivers flash their lights to let you know it’s them when they pull up. Americans are moving towards usually sitting in the back seat of an Uber ride. Most Mexican passengers sit in the front seat in both taxis and when taking Uber in Mexico. Uber rides are great opportunities to practice your Spanish. Think of a topic and look up a little accompanying vocabulary to practice for each ride. Drivers have generous self-assessments of what it means to “speak English” as described in their profile on the app. Most will not understand your English (I’ve often felt that we should ask each other if we understand a second language rather than if we speak it.). Write down your complete destination, as addresses in Mexico can be long and detailed. Keep your home address in your wallet also written down. Do not depend on your memory or the application to serve up the address. To help them find you, have a standard phrase in Spanish and text them after your driver is confirmed (“La entrada está en frente de la restaurant La Casa Country” (The entrance is in front of the Casa Country Restuarant.) No matter if the app says they speak English, write these instructions in Spanish. Mexico is a beehive, people pouring out of every door. Prepare a few words in Spanish to describe what you are wearing, “Llevo un vestido azul.” (I’m wearing a blue dress). Text this information immediately after the ride is confirmed. Uber in Mexico is half the cost of Uber in the U.S., why not tip the 20 pesos? Uber drivers are great sources of information and good places to start if you are looking for other service providers. To hire an Uber driver per hour for errands will cost about $10 per hour. Uber drivers are usually upper-middle class by Mexican standards. Like in the U.S., many have other jobs and dreams. At times, you’ll still want to take a cab. Gas is expensive in Mexico and Uber drivers usually have tiny cars. Taxis have bigger trunks, which can make them better for grocery shopping and airport runs. About the author: Kerry Baker is an author of two books for the aspiring expat. 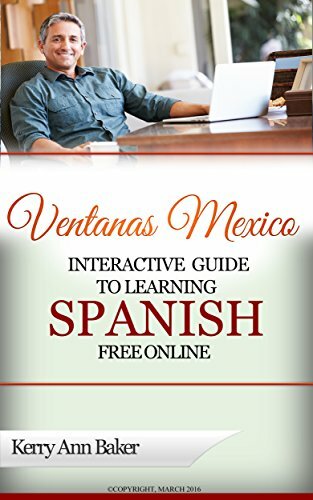 The first, the Interactive Guide to Learning Spanish Free Online offers the best free tools on the web for learning Spanish, curated and organized into lesson plans. The book’s blog accompanies the book with new sources weekly. 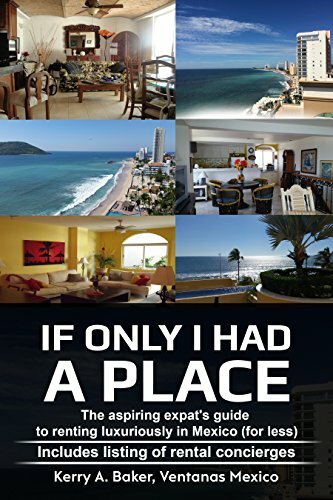 The second book, “If I Only Had a Place” is the complete guide to renting luxuriously and well in Mexico, the secrets that realtors don’t want you to know.